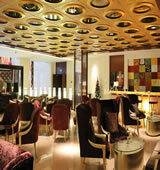 Baifuyi Hotel a five-star international business hotel, is invested by GUOCE GROUP. The hotel is located at the DongCheng District Beijing, convenient to commercial communities, dozens of municipal recreation Centers.The Baifuyi Hotel (Baifuyi Dajiudian) is about a 15-minute drive from the Beijing Railway Station and a 30-minute drive from Beijing Capital International Airport. Nearby Subway Lines 2 and 13 Dongzhimen Station puts travelers directly on the Airport Express line, which takes 16 minutes to arrive at Terminal 3 and 35 minutes to arrive at Terminal 2. By having 209 spacious, comfortable and elegant guest rooms and 290 suits, Baifuyi Hotel could provide you with the most delicate and elegant travelling experience. All the guest rooms are furnished with advanced safety door lock and high-speed broadband network, central air-conditioning, international satellite channel, telephone set (for IDD/DDD), electronic safe deposit box, making your business trip more relaxed and satisfying. 1,300 square meters of meeting and convention space. Our professional management team will provide you with perfect conference consultancy to meet all your requirements after you choose our service, which we guarantee will become the key assistance to the success of your meetings. The Chinese and western restaurant supply not only the fabulous meals, but also lost yourself in the best food from all over the world. The Health Center, Tea House, Sauna Center and KTV Club of different styles facility and service, letting you get fully relaxed. Following the mission "Baifuyi Hotel makes you a relaxed trip", Baifuyi Hotel is definitely your ideal choice for residence in Beijing. 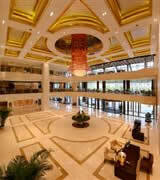 © Copyright © 2013-2014 WWW.BAIFUYIHOTELBEIJING.COM. All Rights Reserved.